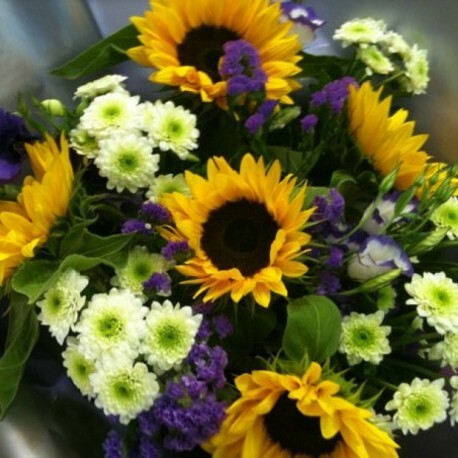 This hand tied bouquet contains sunflowers and other complimenting flowers, the florist creating your design will use their discretion when selecting the other colours and flowers to go with your sunflowers unless you specify a preference when ordering. A minimum of 24 hours notice required for this gift to ensure we have the very best sunflowers to use for your recipient. At some times of year sunflowers are not available, if this is the case we will contact you to arrange an alternate bouquet.